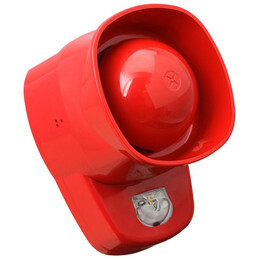 The Symphoni LX Wall visual alarm device (VAD) is a durable sounder beacon that is certified to EN 54-23. Boasting impressive performance and a durable design, it ensures reliability and energy efficiency. 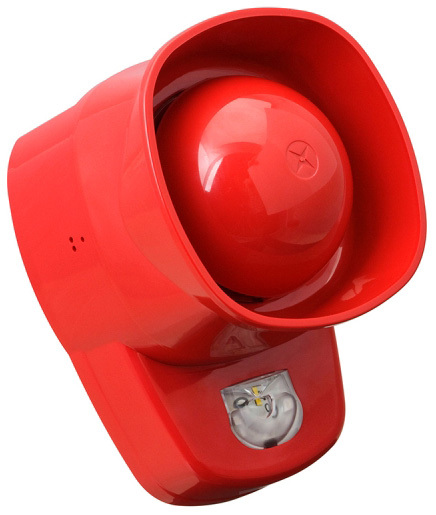 Its high sound output makes it suitable for open areas or where there is higher than normal background noise. This range includes a standard version, providing UK alarm tones and an “E” version that has tones including the German DIN tone and the Netherlands Slow Whoop. The Symphoni LX is also available as a ‘base-only’ variant and both the normal and ‘base-only’ come in a weatherproof, IP66 variant. Up to 7.5m coverage volume (switchable to 2.5m). 0.5 or 1Hz Flash rate. Use where current consumption is a key consideration. Ideal for bedrooms, bathrooms and toilets. Switch flash rate to 0.5Hz to reduce current consumption. Reduces power consumption by up to 50%.